Silver Sol is simply superfine silver particles dispersed in deionized water. The term “Sol” is a chemical designation of a pure mineral, such as metallic silver, permanently suspended in water where the mineral’s charge is transferred to the entire body of water. What Does Silver Sol Do and How Does it Work? 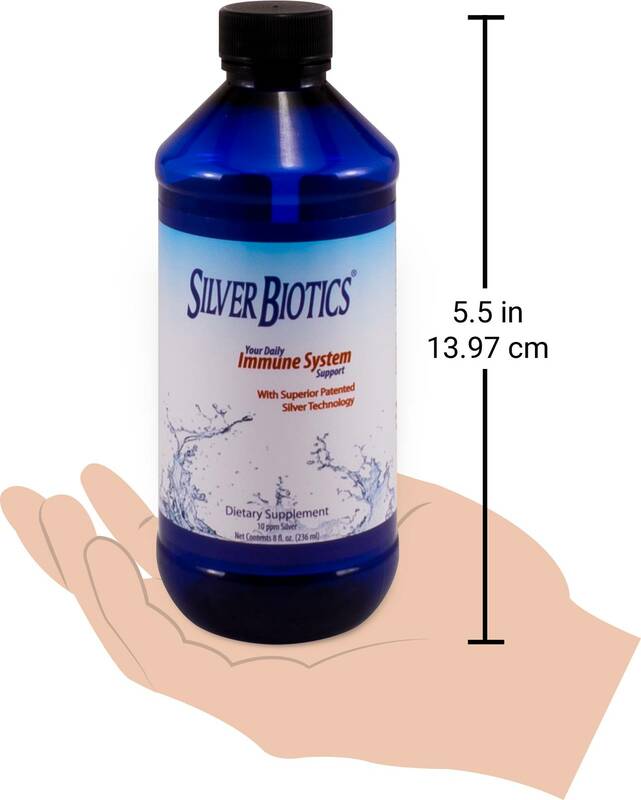 Silver Sol can also purify water (US Patent Office, Nov. 2006) and can be used to treat over three hundred conditions; these are listed in the book A Fighting Chance by Dr. Gordon Pedersen. Dr. Pedersen notes that Silver Sol functions as a non-toxic disinfectant for internal or external use as it comes in three forms: liquid, topical gel, and aerosolized. Silver Oxide – Silver Sol will remove an electron from the bacterial membrane, thus rupturing the pathogen and killing it on contact. Resonance – Silver Sol resonates at the same frequency of a germicidal light used in labs to kill bacteria and viruses. Because it is small enough (a nanoparticle) to enter the host’s cells, it transmits the resonant frequency without the additional risk of exposure to surrounding tissue. Viral Disruption – Silver Sol can bind with the charged, incomplete genetic viral molecules, preventing viral replication. Note that because normal DNA does not contain a magnetic charge, it remains unaffected by the charge of the Silver Sol. Is Silver Sol safe to take? Silver Sol is very safe to take as it is non-toxic, even at high levels. Silver Sol is produced in extremely low parts per million (5-40 ppm); as a result, there isn’t even potential for it to pose a problem in the water treatment plants or in the environment. It’s EPA-approved. According to their guidelines, the oral consumption of small amounts of silver in the water on a daily basis poses NO significant risk. To give you an idea of how non-toxic Silver Sol is, the EPA considers a three-gallon spill of Clorox bleach to be a toxic event. In contrast, it would take over 12 million gallons of Silver Sol to be a reportable spill (the entire contents of 12 oil tankers at the same time and place), a nearly impossible scenario. Two possible side effects, conditions known as argyria and nephrotoxicity, are extremely unlikely to occur with this product due to the low concentration of contained silver. Elemental silver is the only metal not considered to be a heavy (hazardous) metal according to the Merck Index since it does not accumulate in the fats and does not produce poisoning. It passes through the body unchanged, thus it does not produce any harmful metabolites. In addition, it’s non-irritating to skin, eyes, lungs, and mucous membranes. I’ve heard that silver can accumulate in the body and turn the skin blue. Is this true? First off, nobody has turned blue from using Silver Sol. This technology has been used for years with no reports of adverse effects. The condition where the skin and gums have a grayish hue is called argyria. It can occur when silver stays in the body at high levels (about 10 times the regular dose of Silver Sol) for a long time (think decades). Users of ionic and colloidal silver preparations can have too high concentrations of silver and could possibly develop the condition. However, research suggests that 98% of the Silver Sol leaves the body by the next day, so there is no need to worry about argyria. Should I use Silver Sol every day or only when I’m sick? How much should I take? Silver Sol is designed to be used daily to prevent disease; the dosage can be increased during times of greater need. The dosage for most people is two teaspoons of liquid Silver Sol twice daily; however, if you get sick you will want to take two tablespoons twice daily. In some severe cases, people have successfully taken 4 ounces per day for up to two weeks. If using the gel, it should be applied to affected area twice daily. For hundreds more recommended uses, buy the book A Fighting Chance by Gordon Pedersen, Ph.D.
Is Silver Sol safe for children to use? Yes, but the dosage changes, depending on body weight. The dose for adults and teenagers is 1-3 teaspoons twice daily. Children who weigh 25-75 pounds should take half the adult dose. Children who weigh less than 25 pounds should take one-third the normal adult dose. When is the best time of day to take Silver Sol? Is it best to take it with food or on an empty stomach? While taking the Silver Sol with food won’t cause any problems, salt can neutralize the effects of silver, so take the silver on an empty stomach for optimal results. Are there any contraindications for using Silver Sol while taking prescription drugs? Beyond the “don’t take it with salt” rule, there are no contraindications. If you are worried or concerned about possible problems, take the Silver Sol one hour before or after you take your other medications. What are the side effects of using Silver Sol? As mentioned earlier, the main concern with taking silver is the condition called argyria, where the skin and gums have a grayish hue. Even though it produces no harm to the body, the discoloration is permanent like a tattoo. This condition is usually caused by an ionic silver or a high-concentrate colloid, which use silver particles with a magnetic charge that stick together like tiny magnets. No one has developed this condition while taking the patented Silver Sol, though, because its silver particles are permanently embedded in the structure of the water molecules and cannot attract to each other. Does wearing silver jewelry have any of the same benefits as using Silver Sol? Jewelry has some benefits that are good, but not the same nor as comprehensive as those of using Silver Sol liquid or gel. Silver Sol resonates at a very effective rate of 910 THz, which can destroy the bacteria, viruses, and yeast that cause disease. Does Silver Sol require refrigeration or any special storage? How long can I store it? Silver Sol can be stored for two to eight years. It does not require refrigeration. There are many silver products on the market today. How do I tell good silver products from bad ones? Look for 10ppm to 30ppm silver that is optimized for the body’s pH. Ask for scientific research published in peer-reviewed science or medical journals. This is where true advancements in medicine will be found; claims about any products associated with these articles can usually be proven. Has silver been used for its health benefits for long? Or is this a recent find? Silver has been used as medicine and a preservative by many cultures throughout history, for at least a thousand years. Greeks used silver vessels for water purification. Pioneers trekking across the west used it to keep their water safe and prevent dysentery, colds, and flu. They actually put silver dollars in their milk containers and wooden water casks to retard the growth of bacteria. Settlers in the Australian outback suspend silverware in their water tanks to retard spoilage. Nowadays, silver water purification filters are used in Switzerland, as well as in international airliners and some swimming pools. Medicinal silver compounds using its germicidal properties were first developed in the late 1800s; the use of silver compounds and colloids was widespread by 1930. In 1940 there were approximately 48 different silver compounds being marketed to treat virtually every infectious disease known to man. These were available in oral, injectable, and topical forms. They carried such names as: Albargin, Novargan, Proganol and Silvol. (9) Since 1973, silver has been shown to have topical activity against 22 bacterial species (643 isolates) including gram-positive and gram-negative bacteria. 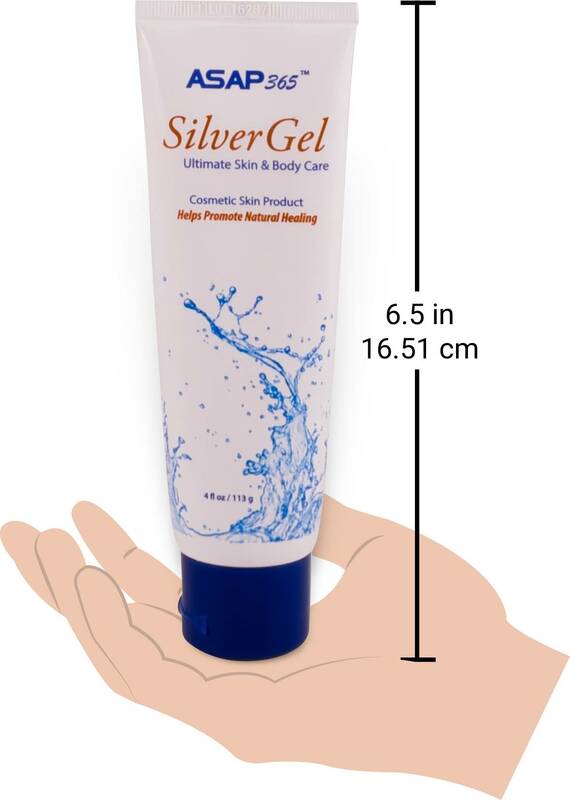 (10) Most recently, a Silver Sol gel has been approved by the FDA in July 2009. Silver Sol is a nutritional supplement that passes through the body unchanged. Silver Sol has benefits that are scientifically proven while safe enough to be a food supplement. Silver Sol functions as an antibiotic, more or less equal to pharmaceutical drugs, but is unique because bacteria do not mutate to become resistant to Silver Sol. Doctors know about silver but until now they have not had an FDA-approved, EPA-certified and Patent-approved product that they could use in their medical practice. All students of medicine have heard about silver in some form or another. The problem is that most science classes teach that silver is antibacterial, antiviral and antifungal, but they also teach that it could cause argyria (the accumulation of silver under the skin) if it is swallowed in a salt form. While this is true, it’s important to realize that new and far safer forms of silver that are still effective are now available. And they don’t cause argyria. A very simple demonstration of this is the “Blue Man,” who has made his own ionic/colloidal silver and consumed it in enormous doses to control diseases. He has been successful in controlling his conditions but he also turned blue/gray in the process. All students of medicine have heard about silver in some form or another. The problem is that most science classes teach that silver is antibacterial, antiviral and antifungal, but they also teach that it could cause argyria (the accumulation of silver under the skin) if it is swallowed in a salt form. New silver sol preparations in lower concentrations and manufactured under Good Manufacturing Practices guidelines have never had a single case of argyria in the estimated millions of users. So your trained scientists and doctors have heard of silver colloid and ionic silver, and now that a new, safe silver sol has been widely used they will listen. And doctors are now beginning to incorporate Silver Sol into their practices. Many clinics, medical practices and nursing homes have written policies and procedures allowing Silver Sol exclusively. Anti-Bacterial Kills ear pathogens 2.5 ppm in 6 minutes (19) Kills gram negative bacteria including i.e. salmonella (11) Kills gram positive bacteria i.e. Staphyoccocus aureus (11) Kills Nosicomial infections i.e. pseudomonas aeruginosa, and MRSA (4) Proven to kill bacteria including Gram positive and gram negative bacteria, without destroying healthy lactobacilis (flora) (4, 11). Kills B subtilis (99.97% in three hours) (11). KillsYersinia pestis/plague (99.999999% in 6 minutes) (11). With the Ag4O4 coating, the silver particle is attracted to the surrounding water molecules, and as such, becomes part of the structure of the water. This makes the silver much more stable and bioavailable than other forms of silver. Ag4O4 Molecule A thin multivalent silver oxide coating, built of thousands of Ag4O4 molecules, surrounds the metallic nano sized silver core. Ionic Silver (Silver Ions) Ionic Silver is one of the most common forms of silver liquid found in the supplement industry today. Many are made by diluting chemical forms of silver, like silver nitrate, to a desired parts per million (ppm), which is then bottled and sold to the public. Although ionic silver products have the smallest particle size (which they usually tout), they are often the least stable and can easily fall out of suspension. Additionally, ionic forms of silver only have one mode of action. Once each silver ion steals its missing electron, it becomes neutral and is no longer useful in the body. Lastly, ionic forms of silver are metabolized, and as a result, can bind up in the body. Over extended periods of time this build up could cause a skin condition known as Argyria, otherwise known as the blue man’s syndrome. Now is the time to get serious about your wellbeing and prepare to make a stand in favor of your family’s health. Silver Biotics is the #1 choice of tens of thousands of people for helping to enhance their immune system. Take it orally every day to naturally help boost your immune system, and let it function as one of your family’s first lines of defense. Warning: If you are pregnant, nursing, have any allergic reaction to trace minerals or if you have any chronic recurring symptoms or illness, please consult a health care professional before using this product. KEEP OUT OF REACH OF CHILDREN Store at room temperature. Keep out of direct sunlight. 1. Silver Oxide – Silver Sol will remove an electron from the bacterial membrane, thus rupturing the pathogen and killing it on contact. 2. Resonance – Silver Sol resonates at the same frequency of a germicidal light used in labs to kill bacteria and viruses. Because it is small enough (a nanoparticle) to enter the host’s cells, it transmits the resonant frequency without the additional risk of exposure to surrounding tissue. 3. Viral Disruption – Silver Sol can bind with the charged, incomplete genetic viral molecules, preventing viral replication. Note that because normal DNA does not contain a magnetic charge, it remains unaffected by the charge of the Silver Sol. 2. Fox, C.J. Jr., 1968. Silver sulfadiazine, a new topical therapy for Pseudomonas burns. Arch. Surg. 96:184-188. 3. Fox, C. J., 1969. Control of Pseudomonas infection in burns by Silver Sulfadiazine. Surg. Gynecol. Obstet.. 128:1021-1026. 4. U.S House International Relations Committee, 2005. Written testimony on Black Mold., and MRSA. 5. Illinois Institute of Technology. 2001. Anthrax. 6. Robinson, R., 2003. Bactericidal activity of ASAP Silver Solution on Yersinia Pestis, the etiological agent of plague. Department of Microbiology, Brigham Young University. 7. U.S. House Relations Committee. 2005. Written testimony on Malaria. 8. Hafkine, A., 2003. ASAP antiviral activity in Heapatitis B; DNA Ploymerase Inhibition, Reverse Transcriptase Inhibition. Hafkine Institute for Training, Research and Testing. 9. Colloidal Silver: Medicinal Uses. 10. Carr, H., Wlodowski, T., 1973. Department of Microbiology, College of Physicians and Surgeons, Columbia University, New York, New York. Antimicrobial Agents and Chemotherapy. 10:585-587). 11. United States Patent Office. Patent # 7135195, Nov. 2006. 12. Merck Index., 1999. Silver. 1:645. 17. DeSouza, A. Current Science, 91(7), 2006. Bactericidal activity of combination of Silver-Water Dispersion with 19 antibiotics against seven microbial strains. 18. Institute for Antiviral Research. Silver Sol and H5N1 Influenza, 2005. 19. Nelson Labs, Brigham Young University. 2005. 20. Surgeons scrub test. 2005. 21. University of Cal Davis. Silver Sol and healthy intestinal flora. 2005. 23. General P.K.Carlton MD. Letter to the department of homeland security, 2007. 24. Orrin Hatch. Letter to Hon Tom Ridge Homeland Security, 2006.